Today’s cute-as-a-button fixer-upper takes us to the warmer climes of the Deep South. Situated halfway between the Mississippi River and the capital of Jackson, this Queen Anne home in the town of Edwards features 3 bedrooms and 2 baths. Nothing short of adorable, here are just some of the reasons why we’re ready to make it our own. For more than a century this Mississippi miss has surely charmed a lot of hearts. Even with the peeling paint, she caught our eye with her elegant brackets, sassy shingles, and delicate porch spindles. With a perfectly preserved facade like this, it won’t take much before she’s the apple of someone’s eye all over again. Just look at those gorgeous two-over-two wood windows at the porch – so tall you could walk right through them! Although it seems minor, it’s truly amazing to see how much character is lost when wood windows are replaced with a newer material. Too drafty? It doesn’t have to be that way. One look through here and hopefully you’ll agree. Don’t be fooled by this seemingly small house – there are more fireplaces than you can roast a marshmallow over. Well, more like you “could” roast since these fireplaces have been covered, but that’s an easy fix! It’s a wonderful surprise to discover so many handsomely carved mantels, even in a modest home like this. Striking window casings, operable transoms over interior doors, warm wood floors – this is one modest home with tons of style! Why not enhance it further by removing those dropped ceilings? In no time, you could be adding height to these rooms and potentially uncovering historic moldings. And you can really bring it all together by adding your own unique spin on the kitchen and bathrooms. Looks to be off-market. 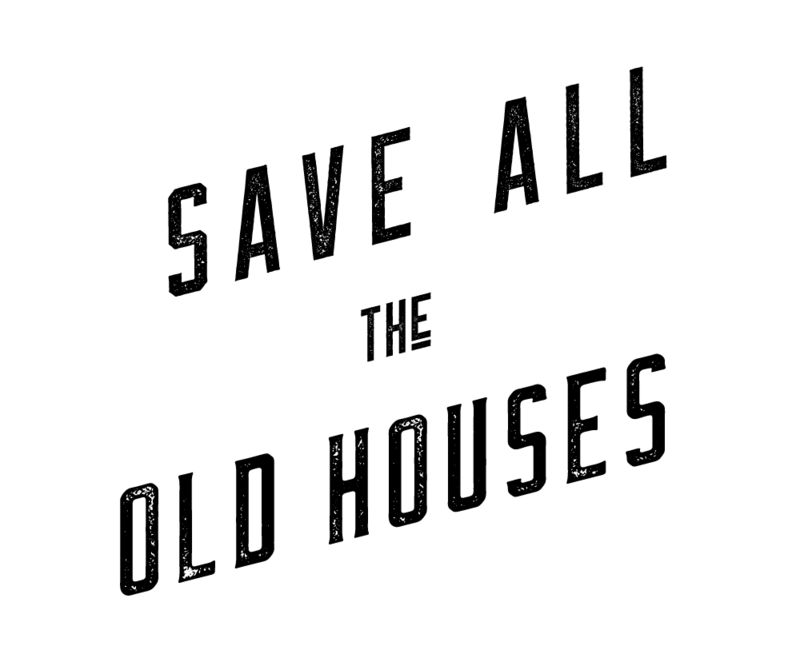 Hopefully an old house lover has plans to restore her to her former glory!